Mid-August and Monterey means classic car heaven. From the Rolex Monterey Motorsports Reunion to the Pebble Beach Concours d’Elegance, there’s no better place on Earth to bathe in the beauty of historic automobiles. Auctions, tours, and shows surround these epic events, but beware; immediate immersion can lead to a full-blown 4-wheel freak out. Because it’s best to ease into this kind of gas-powered sensory onslaught, Canepa will be holding a 10-day open house to act as a gateway … and you’re invited! Whether you’re on your way or coming back, Canepa is just minutes off Highway 17 between Monterey and the San Francisco Bay Area. Our extended open house kicks off with the world famous Canepa Cars & Coffee at 8:00am, Saturday August 12th, and runs through Monday, August 21st. Closed Sundays. 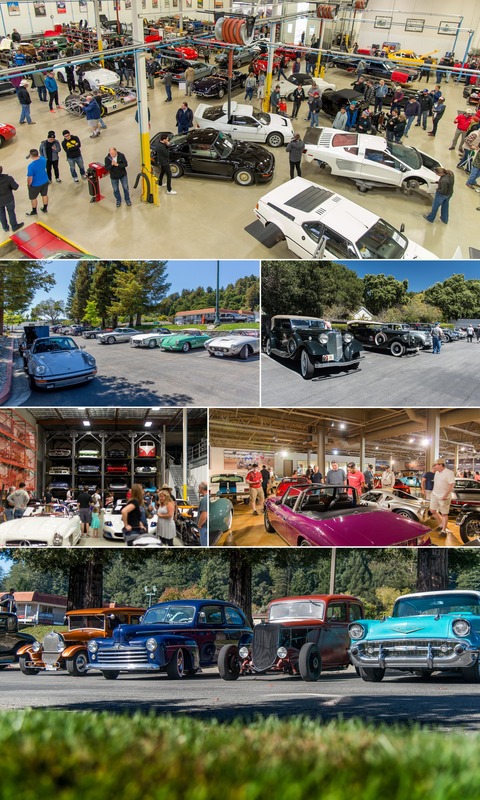 WHAT: A 10 day Canepa Open House to celebrate Monterey Classic Car week and the people who enjoy it most. Acclimate to the Monterey environment by exploring our 70,000 square feet of showroom the Canepa Motorsport Museum and the Canepa Motorsports and Restoration shops. You’ll be surrounded by one-of-a-kind classics, concours-winning restorations, and championship racecars. WHEN: Saturday, August 12th – Tuesday, August 21st. 9:00am – 5:00pm Monday-Saturday, Closed Sundays. Plan now to stop on by and join us!